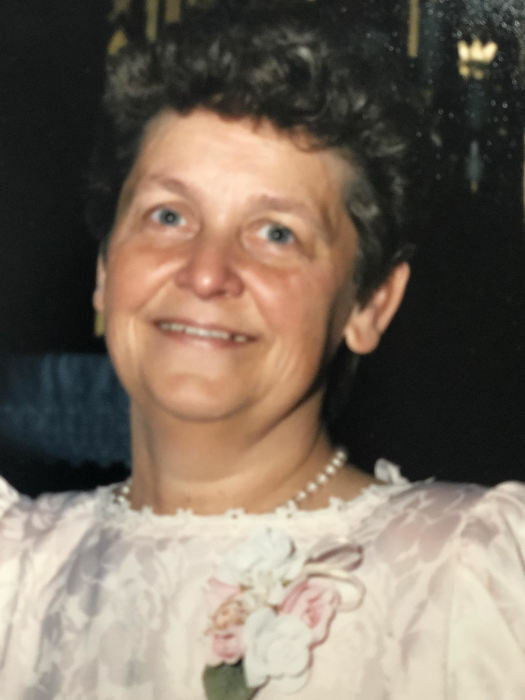 Agnese Leticia Jaeger (Connolly), 83, of Dubuque, Iowa, passed away on Thursday, April 4th, 2019 in the comfort of her home surrounded by family. Visitation will be from 11:00 a.m. to 1:00 p.m. Monday, April 8th, 2019 at Leonard Funeral Home & Crematory, 2595 Rockdale Road where a funeral service will be at 1:00 p.m. with Msgr. James Miller officiating. Burial will be at a later date in Mount Calvary Cemetery. Agnese was born on March 10, 1936 in La Motte, Iowa, daughter of Sylvester and Bernadette (Dunn) Connolly. She graduated from St. Joseph’s Catholic High School in Dubuque, Iowa. On March 7, 1953 she was united in marriage to the love of her life, Theodore "Ted" Jaeger, at Holy Family Catholic Church in Davenport, Iowa. Agnese enjoyed many jobs over the years from waitressing, to teaching at the local Head Start, to working the lunch line at St. Mary's Catholic School; but above all things she loved spending time with her family more than anything. Left to cherish her memory is her husband of 66 years, Ted; 5 children, Debra (Steve) Jaeger-Viertel, of Dubuque, IA, Anne (John) Fagan, of Onslow, IA, Donald Jaeger, of Dubuque, IA, John Jaeger, of Dubuque, IA and Julie Jaeger, of Dubuque, IA; 9 grandchildren, Sunshine (Matt) Hafner, Dawn (Chris) Norris, Michael Coyle, Katie Flores, Sarah Jaeger, Dustin (Nicole NanAcker) Jaeger, Amanda (Chris) Miller, Patrick (Abby) Fagan and Molly Fagan; 18 great grandchildren; 1 great great grandchild; her sister; Margaret Fromknecht; two brothers; Bill Connolly and Sylvester Connolly; one brother-in-law; Edward (Joan) Grant and numerous nieces and nephews. She is preceded in death by her parents, Sylvester and Bernadette; children, Theodore Jr. "TJ" Jaeger and Mark Jaeger; mother-in-law Katherine Fettgather; sisters, Mary Ann (Lee) Holland and Jan (Lyle) Bainbridge; brother Gary Hutter and her in-laws; John Fromknecht, Judy Connolly, Mary Connolly and Donna Stackis Wooldridge. Thank You to Cascade Ambulance Service, the staff at MercyOne Dubuque and Hospice of Dubuque for their wonderful care.